Tugun Live Theatre gives quarterly performances. Our Probus members have a great night out at each show. Venue is the Tugun Community Centre on the corner of Boyd St and Coolangatta Road. Bookings essential – through Di. 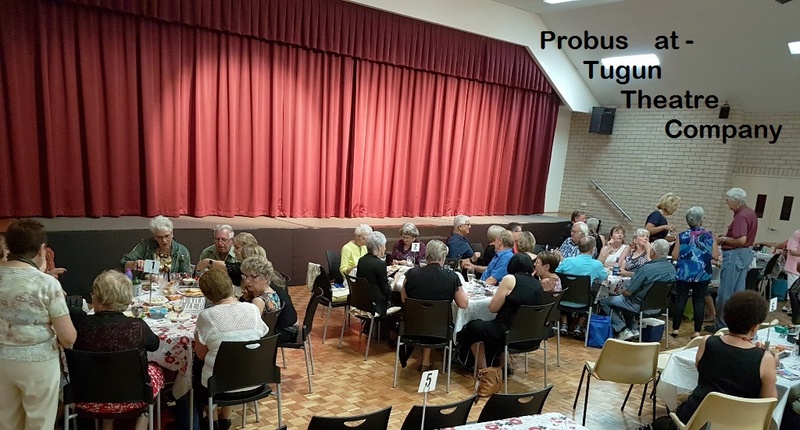 Marks Ph:- 0755 348834 $15.oo [Seniors] – Book at the Probus Monthly Meeting before the performance. Bring your own nibblies and a wine if you wish. Have a good chat before curtain rise !